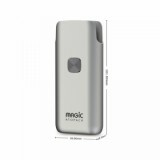 The Joyetech Atopack Magic Battery and the Joyetech Atopack Magic Cartridge consists the Atopack Magic Vape Kit. Atopack Magic Battery is a 1300mAh built-in vape battery which has the innovative single switch design and the high build quality and ergonomics. It is a compact pod mod with stylish design as many other Joyetech mods. If you have ever used Joyetech products, then you must try the Joyetech Atopack kit, it won't let you down. 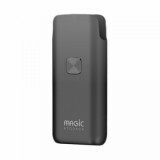 • You also can buy the replacement Joyetech Atopack Magic Kit and Joyetech Atopack Magic Cartridge in BuyBest.